[Sunday Pickup] Karen Elson - "Live At Third Man Records"
Sorry about the late night pickup but here's something you definitely will enjoy for the week. This week our pickup is coming from Jack White Wifey, Karen Elson and her recent record release show at Third Man Records. 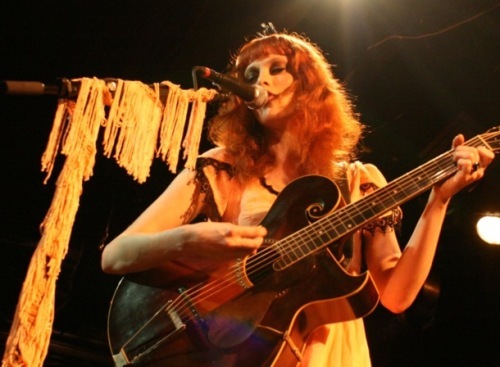 Elson played through most of her debut album The Ghost Who Walks as well as 2 bonus cuts, a cover of Jackson C. Frank's "Milk and Honey" and a cover of Donovan's "Season of The Witch." Check out the the performance below and make sure you also grab her incredible album The Ghost Who Walks in stores now! ORDER UP!